These two are TOTALLY vibing off each other - someone get them in a studio NOW! 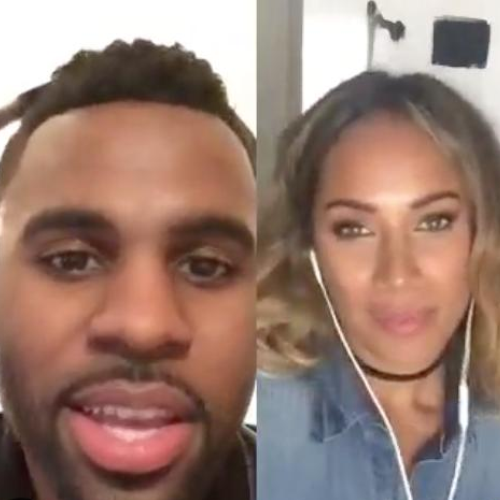 We didn’t even know this pair were pals - but it looks like Jason Derulo and Leona Lewis have SERIOUS chemistry when it comes to singing together! RnB star Jason shared an AMAZING video with fans yesterday when he posted a clip of the two global superstars singing his hit ‘Want To Want Me’ over smartphone app Smule! As expected they both sound amazing and are clearly loving every minute. Get this pair in the studio together now! Last weekend Leona Lewis appeared live on stage in Nashville to join Taylor Swift for a duet of ‘Bleeding Love’ on the ‘1989’ world tour.